Daniel Stendel was more concerned about arresting Barnsley's losing run, against Bristol Rovers, than regaining their lofty league position. The Reds returned to winning ways on Saturday as they beat struggling Rovers 1-0 at Oakwell to shake off disappointing back-to-back away defeats. Alex Mowatt scored the only goal of a tight game, with a moment of quality to curl into the far corner from 20 yards. 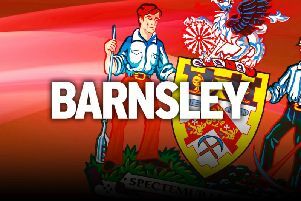 The win extended Barnsley's unbeaten home record to seven games this season and moved them back up to fourth spot in the League One table. The German knows nothing is won in October, though, and is focused on the result. “It’s a long season, and I say this all the time, but there’s so many games to play and where we are right now doesn’t necessarily mean that’s where we finish,” he said. “It’s good of course that we won and go up to fourth in the league, but mainly because it’s good to change the trend after the last two matches. After complaining that his side were not getting protection from referees after Shrewsbury's physical approach in the 3-1 defeat last week, this was another tough encounter for the Reds. They struggled to dominate the way they have against other teams as Rovers put up a fight in South Yorkshire. The Tykes were also shorn of Kenny Dougall, a casualty of Shrewsbury's aggressive nature, and Stendel was impressed his side still got the job done. “We want to play our style and to win every game, but other teams want to stop us. Again today it wasn’t easy," he said. The Reds will look to continue their dominant home form when Southend visit Oakwell in League One on Saturday before a run of three more home games in cup competitions.